We had an awesome turn out today in SuperNova. You guys completely rocked the event. Thank you so much SuperNova for letting us overrun your city today. I apologize for the mess with the babies.. (shudder) A special thanks to those of you that donated extra credits to the lottery droid. I can't wait to see who our lucky winner is! This month's highlight city is SUPERNOVA There will be several mob types running, city decorations and lottery droid. The city cantina will be open for you to easily obtain mind and doctor buffs. Please use the city entertainer group. If another group is needed to accommodate the number of participants, one will be provided. Please remember to tip the city entertainers and doctors as they are so graciously setting up to help. Please keep in mind: If you pop into SUPERNOVA prior to the system announcement and start killing mobs, you will be teleported to the center of town and frozen for the duration of the event. You will not be able to talk your way out of it. You may bring only one (1) character per person. No dual boxing. If you are caught dual boxing, your characters will be teleported to the center of town and frozen for the duration of the event and any loot you have obtained will be deleted. Normal rules of engagement apply with regard to overt/special forces players. Please choose your character accordingly. Additional information will be provided in game. The above is to ensure that the event is fair to all participants. There will be several mob types running, city decorations and lottery droid. The city cantina will be open for you to easily obtain mind and doctor buffs. Please use the city entertainer group. If another group is needed to accommodate the number of participants, one will be provided. Please remember to tip the city entertainers and doctors as they are so graciously setting up to help. Please keep in mind: If you pop into SUPERNOVA prior to the system announcement and start killing mobs, you will be teleported to the center of town and frozen for the duration of the event. You will not be able to talk your way out of it. You may bring only one (1) character per person. No dual boxing. If you are caught dual boxing, your characters will be teleported to the center of town and frozen for the duration of the event and any loot you have obtained will be deleted. Normal rules of engagement apply with regard to overt/special forces players. Please choose your character accordingly. Additional information will be provided in game. The above is to ensure that the event is fair to all participants. Event time is at the top of this page. Thank you so much everyone for coming out today to join the merriment and Mayhem. So very nice to see so many newcomers. You all completely smashed the day! The after party was all like.... waaaaaah! A huge thanks to Forge for letting us run amok and make a mess of their city. You guys were awesome! This month's highlight city is FORGE There will be several mob types running, city decorations and lottery droid. The city cantina will be open for you to easily obtain mind and doctor buffs. Please use the city entertainer group. If another group is needed to accommodate the number of participants, one will be provided. Please remember to tip the city entertainers and doctors as they are so graciously setting up to help. Please keep in mind: If you pop into FORGE prior to the system announcement and start killing mobs, you will be teleported to the center of town and frozen for the duration of the event. You will not be able to talk your way out of it. You may bring only one (1) character per person. No dual boxing. If you are caught dual boxing, your characters will be teleported to the center of town and frozen for the duration of the event and any loot you have obtained will be deleted. Normal rules of engagement apply with regard to overt/special forces players. Please choose your character accordingly. Additional information will be provided in game. The above is to ensure that the event is fair to all participants. In celebration of Reckoning's Four Year Anniversary, we will be holding an event this weekend, Friday, January 11th (4:00AM ET) to Monday, January 14th (4:00AM ET). Wow! Did I say four years? It's still hard for me to believe reading that statement back to myself. Four great years of proven stability, longevity and strong bonds forged through our awesome community of players. That's something to be very proud of, I know I am. You guys, the community should be as well. Without you, we most certainly wouldn't be where we are today, let alone be celebrating a fourth birthday. Thank you for helping make Reckoning what it is today. 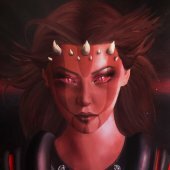 I also want to give a huge shout out to the SWGEmu team. Your many years of hard work and dedication to the cause has enabled communities such as ours to relive the game we all love. Cheers to four years, and many many more to come! Event Details: Experience will be doubled for the duration of the event. You will receive the Four Year Anniversary event badge. You will receive two Four Year Anniversary event paintings. Reckoning Credits will begin dropping from all mobs within the world. *This year’s Galactic home show entries were nothing short of incredible. * A decision on the winner of this year’s Home Show was really rough. Kill commands were flying freely and several staff members may not fully recover. Congratulations to Cimaron winner of the December 2018 Galactic Home Show. Simply amazing. Please contact me to claim your prizes. We can't wait to see what the next Galactic Home Show brings! There will be several mob types running, city decorations and lottery droid. The city cantina will be open for you to easily obtain mind and doctor buffs. Please use the city entertainer group. If another group is needed to accommodate the number of participants, one will be provided. Please remember to tip the city entertainers and doctors as they are so graciously setting up to help. Please keep in mind: If you pop into FORGE prior to the system announcement and start killing mobs, you will be teleported to the center of town and frozen for the duration of the event. You will not be able to talk your way out of it. You may bring only one (1) character per person. No dual boxing. If you are caught dual boxing, your characters will be teleported to the center of town and frozen for the duration of the event and any loot you have obtained will be deleted. Normal rules of engagement apply with regard to overt/special forces players. Please choose your character accordingly. Additional information will be provided in game. The above is to ensure that the event is fair to all participants. Event time is at the top of this page. Happy Holidays! Reckoning will be holding an event to celebrate the holiday season. The event will run from Monday, December 24th @ 10AM ET to Saturday, December 29th @ 4AM ET. Event Details: Experience will be doubled for the duration of the event. You will receive the Holiday 2018 event badge. You will receive two Holiday 2018 event paintings. Reckoning Credits will begin dropping from all mobs within the world. New for this event and going forward, the Reckoning Reward NPC will now offer name changes (30 day cool down applies) and previous event badges. This is in addition to previous paintings. I'm back! As the title suggests let's rock! There will be events periodically throughout the day. Lets bring the new year in with a bang! A huge thanks to Krayts End West for letting us make a mess of their town. You guys continue to blow me away. The need for two entertainer groups and the extra docs floored me. Thank you everyone that came in to help with the buffing and that participated in the event. You all definitely made my last event of the year a blast! Elvira Takes A Vacation ! Aloha Reckoning! I will be on vacation from December 9th thru the 29th. Have fun my Darlings! Fenrir... their Souls are mine mister! This month's highlight city is KRAYTS END WEST There will be several mob types running, city decorations and lottery droid. The city cantina will be open for you to easily obtain mind and doctor buffs. Please use the city entertainer group. If another group is needed to accommodate the number of participants, one will be provided. Please remember to tip the city entertainers and doctors as they are so graciously setting up to help. Please keep in mind: If you pop into KRAYTS END WEST prior to the system announcement and start killing mobs, you will be teleported to the center of town and frozen for the duration of the event. You will not be able to talk your way out of it. You may bring only one (1) character per person. No dual boxing. If you are caught dual boxing, your characters will be teleported to the center of town and frozen for the duration of the event and any loot you have obtained will be deleted. Normal rules of engagement apply with regard to overt/special forces players. Please choose your character accordingly. Additional information will be provided in game. The above is to ensure that the event is fair to all participants. Event time is at the top of this page. Reckoning's Got Talent The Galactic Home Show begins December 1st and will run through December 31st! Break out your scissors, chain saws, measuring tape, floral arrangements and get those creative juices flowing. Show us what you've got Reckoning. Rules: -Players must enter before the event is over. To enter post on this thread Your Name and home location (Planet & Way Point). -There will be ONE Winner. -The winner will be selected by the staff. -Participants can submit multiple structures but only win with one. -The winner will receive the badge "Winner of the galactic home show" -The winner will be able to select three items from the prize house and will receive one special item that is not available in the prize house (Special item will be random and at the staff's discretion.) -Participants will be judged on creativity and theme. -Structures entered in previous home shows will not qualify. -The structure you enter must be your own, regardless of who does the decorating. Only the structures account owner can win the prizes. -A Winner will be announced January 1st. We've seen some of the most amazing Cantina's, Guild Hall's and Homes scattered across the galaxy and we are very excited to see what you can do. Thank you so much Foundry for letting us invade your city today. It was a complete blow out. Group was full full full. It was an amazing day. Fun X 10! You guys rock this event! This month's highlight city is FOUNDRY There will be several mob types running, city decorations and lottery droid. The city cantina will be open for you to easily obtain mind and doctor buffs. Please use the city entertainer group. If another group is needed to accommodate the number of participants, one will be provided. Please remember to tip the city entertainers and doctors as they are so graciously setting up to help. Please keep in mind: If you pop into FOUNDRY prior to the system announcement and start killing mobs, you will be teleported to the center of town and frozen for the duration of the event. You will not be able to talk your way out of it. You may bring only one (1) character per person. No dual boxing. If you are caught dual boxing, your characters will be teleported to the center of town and frozen for the duration of the event and any loot you have obtained will be deleted. Normal rules of engagement apply with regard to overt/special forces players. Please choose your character accordingly. Additional information will be provided in game. The above is to ensure that the event is fair to all participants. Event time is at the top of this page.